We believe simple is effective, hard work pays off and that training smartly can yield the best results. One of the hardest challenges within effective programming is to find the best combination of volume and intensity whilst being able to integrate gymnastics, weightlifting and functional movements. We have worked with thousands of athletes over thousands of hours and that has allowed us the experience to be able to find this balance. The most important aspect of our programming is to make you better in your sport, this is not only done through the programming, but through the feedback and input you can receive from the coaches in our closed groups. Within the programming you will also find specific progressions, daily movement drills and accessory work we use to improve your movement and technique. We never wanted our programming to be a passive experience, but one where your journey becomes our journey and we are passionate about sharing it with you. We offer a 7 day free trial so you can experience The Progrm and see how it can boost your training program. The Progrm began with just a handful of athletes who enjoyed throwing down, working hard and getting better. These sessions usually involved techno, lots of pre-workout and long days in a dark gym. As this small group of athletes started to do better and excel in competitions, more and more athletes wanted to join and be a part of The Progrm. We believe that working smarter and harder than the competition can bring us closer to our goals and objectives. Our team shares our ethos and our programming reflects this ethos. 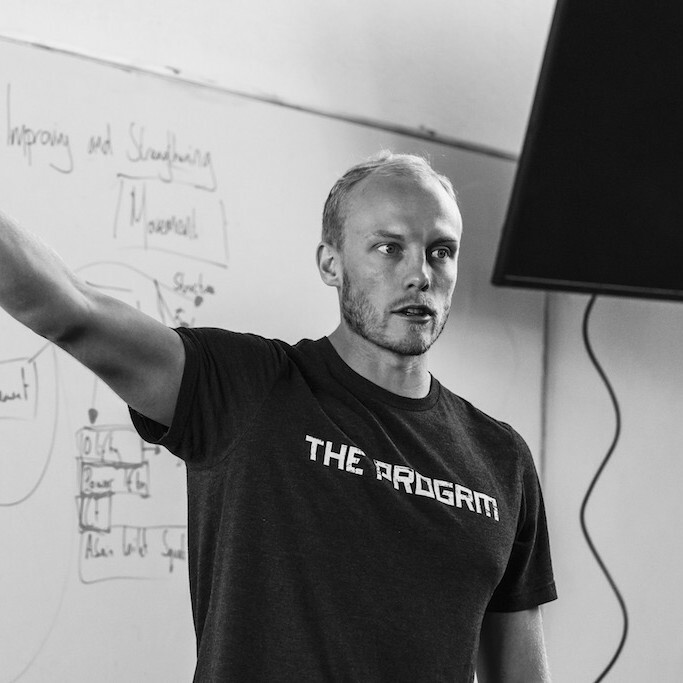 One of the most important aspects of our programming is to make you better in your sport, this is not only done through the programming, but through the feedback and input you can receive from the coaches and the specific progressions we use to improve your movement and technique. We have a team of coaches with over 50 years of combined experience in functional fitness, who are here to help you achieve your goals. John is the head coach of The Progrm. 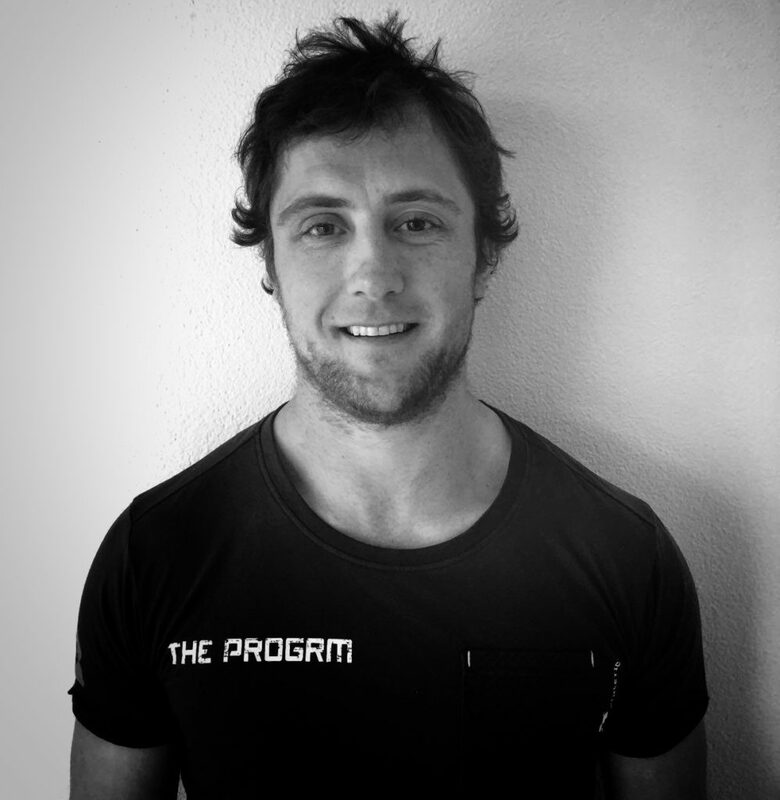 He holds a Masters degree in Osteopathy and has been working with competitive athletes since 2007. He has coached some of Europes best athletes including Sara Sigmundsdottir, Björgvin Karl Gudmunsson, Lukas Esslinger and Adrian Mundwiler. As well as the 2016 Fittest Teen in Europe Axel Lundgren. 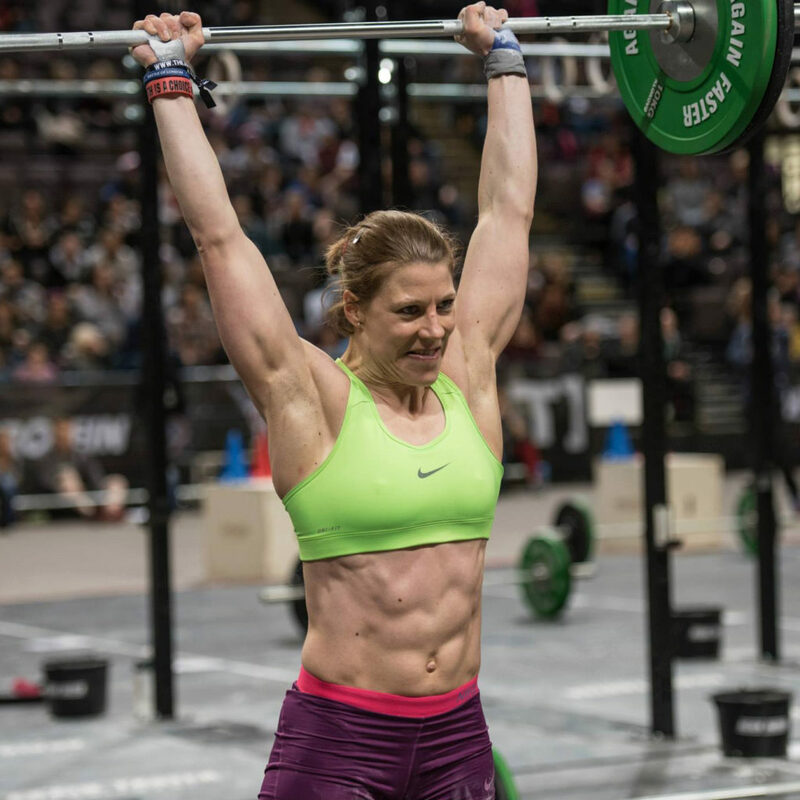 Gwen was the first German female athlete to qualify for Regionals. She competed at the European Regionals 4 consecutive years with a top placing of 13th in 2016. Gwen is a full-time coach working in London. She is in charge of managing our individualised programming, athlete care, and making sure everything runs smoothly in The Progrm. 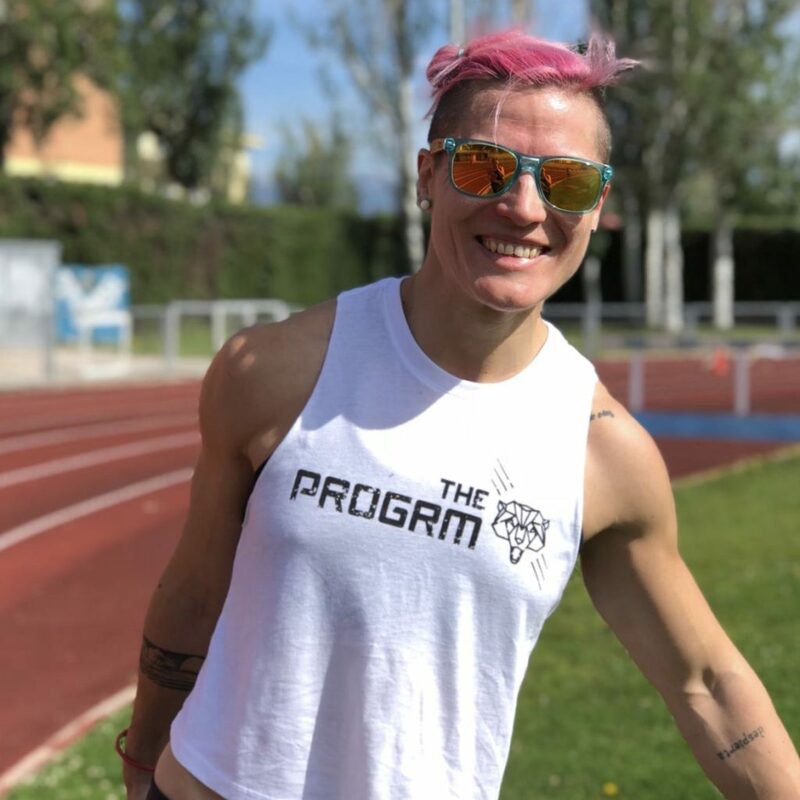 TJ is not only one of the top athletes in Spain, having won numerous titles, but has also competed across Latin America. Alongside her coaching, TJ is a qualified Physiotherapist and works with patients in Spain. Jon was a Great British Triathlete between the ages of 20 and 28 competing at numerous World Championships. During his competitive time, he held several course records and also competed in the individual events (swimming, running and cycling) at national level. Gommaar is a scientist who studied Sport Sciences at the University of Leuven, where he also gained his Ph.D. His research focuses on the molecular basis of how muscles adapt to nutrients and exercise. Currently he is working as a post-doctoral researcher at state-of-the-art lab in Zürich. His goal is to give the most objective individual advice about nutrition based on the latest research data. Do I need a certain level of fitness experience to start? Although you don’t have to be a competitive athlete to join The Progrm we recommend you have some experience with training, if you are completely new we recommend starting with one of our Progrm coaches, who will be able to guide you and give you the feedback you need. How do I follow the programming if I can’t do certain exercises yet? Such as Muscle Ups or Hand Stand Push Ups. The best place to start is the Daily, here we also offer scaling options. Can I combine the programming with my classes? Yes you can, due to the volume we recommend following The Daily, it may also clash with the classes programming therefore we recommend to adapt the programming if needed and also think about getting your box to sign up. I feel that my strength numbers aren’t big enough can I do something to help this? We have a full article regarding this in the “Knowledge base” section of “My Progrm”. However we don’t advocate trying to significantly increase one particular aspect of fitness quickly, we look to increase all areas gradually over time. Can I get the program e-mailed to a different e-mail address than I signed up with? Yes, you will be able to change this in “Your Account” when you are logged into the site. I play semi professional hockey/rugby/basketball is it still possible to follow the programming and still train for my sport? Yes you can, due to the volume we recommend following The Daily. Do you provide any nutritional advice? We do not currently provide nutritional advice. How will you know my weaknesses? In both the Daily and Elite Facebook groups you can have daily interaction with the coaches and this is where we can track your times and numbers so we can monitor your progress. Can I easily switch between Programs? Yes, it is very easy to do and you will be able to do this in the My Account section. The site will be able to automatically update everything for you. What if I don’t receive my weekly Progrm? We send the weekly Progrms out to all of our subscribers using MailChimp, as it has a good record of getting emails through. If you don’t receive it by Sunday, first check your Spam folder. If for some reason it’s in there, be sure to mark it as “Not Spam” in order to tell your system not to suspect emails from us. If it’s not there, you can find it from your subscriber homepage – your “My Progrm” page. There is a link there to “This Week” that has the current Progrm pdf for download. We do not keep your credit card details anywhere on TheProgrm website, but work with partners PayPal and Stripe to set up recurring payments. These large, specialist companies have a good record of security and are continuously improving their systems to keep your data as secure as possible. The best way is to use the contact form here. Because we are athletes & trainers ourselves, it’s not possible to offer an immediate response so please be patient and we will get back to yo as soon as we can. If I cancel, does my membership stop immediately? No, your membership continues until the end of the period you have paid for. For example, if you signed up for Daily Monthly, it would continue until the end of the month you have already paid for. Note that the date it ends will depend on the date you signed up, and is not aligned to calendar months.